Reducing waste is foundational to our new long-term Sustainability & Responsibility Strategy, Made for Change. It also has a clear benefit for our business. Minimizing waste streams and increasing reuse and recycling is leading to significant financial savings, while creating a platform for greater engagement with our associates. Apparel and footwear waste contributes a considerable amount to local landfills. Additionally, making and moving our products across the supply chain adds a significant amount of waste in our system. To continue reducing these waste streams, we are focused on transitioning our facilities to become zero-waste sites, which we define as sites that divert 95 percent or more of their waste away from disposal through recycling, composting and reuse. Only 5 percent of a facility’s waste may be disposed at a landfill or waste-to-energy facility. Our approach to waste management addresses the areas where we have the greatest level of control and where we can achieve the highest levels of improvement. Since 2014, our waste reduction, reuse and recycling initiatives have led to more than 135,082 metric tons of waste being diverted from landfills. We have engaged thousands of associates in our distribution centers and offices in our zero-waste journey, creating enthusiasm and spurring meaningful actions to help us deliver on our waste and financial goals. We have tailored our waste reduction efforts to the distinct types of facilities across our operations. Before consumers can wear a new jacket or pair of shoes, every product must be packaged and shipped. 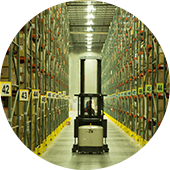 VF’s wholesale customers, retail stores and e-commerce sites are supported by a global network of distribution centers that receive products in bulk from manufacturers, and then repackage and ship them to stores and homes around the world – a process that creates substantial packaging waste. To address this, we have committed to achieving 100 percent zero-waste operations at all VF distribution centers by 2020. Fourteen of our 30 centers have achieved zero-waste status, seven each in the U.S. and EMEA region, helping us move closer to our goal. At our corporate and brand offices, we work to increase our diversion rate by making recycling and composting locations easily accessible to our associates. Our EMEA team is working to make our international headquarters the first zero-waste verified VF office in Europe through a variety of waste reduction programs, including the creation of 14 recycling areas throughout the building, using only re-usable cups and mugs, and composting all cafeteria food. To help us achieve zero waste in our U.S. offices, we focus primarily on behavior change initiatives. 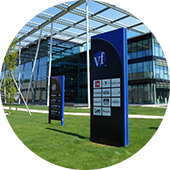 For instance, at VF’s world headquarters in Greensboro, N.C., associates turned in their trash cans, opting instead to walk all trash to central waste locations. Associates at the Timberland® brand headquarters in Stratham, N.H., celebrated Earth Week in 2016 with multiple dumpster dives to sort through trash and identify new opportunities to reduce waste. 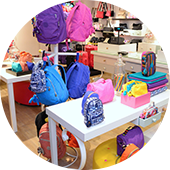 Reducing waste at our retail stores poses a different challenge. The majority of our retail locations are in malls where a property manager is responsible for waste removal and recycling services. Although we don’t have control over waste collection and disposal, we can use our influence as one of the largest companies in the industry to drive systemic change. For example, after we identified the potential to divert more than 229,000 pounds of plastic away from landfills through polybag recycling, we began an effort in conjunction with the Retail Industry Leaders Association (RILA) to invite other companies to discuss the business case for offering polybag recycling with mall property managers. What we can control, however, is what comes in and goes out the front entrance of our stores, so we are working to provide consumers more takeback opportunities in our stores in the U.S. and EMEA. Reducing the waste generated through the processing, manufacturing and finishing of our products is a priority. We will continue to partner with our suppliers on resource efficiency and innovative materials management, including the recycling of scrap textiles, particularly denim. We are also pursuing packaging reduction strategies, including shipping and secondary packaging as well as consumer-facing packaging interventions.